Welcome to BOOK CLUB, which I run with co-conspirator Nicole from Linus’s Blanket. Today we will be chatting about The Reservoir by John Milliken Thompson, which was released at the end of June from Other Press (website | twitter | facebook). For those of you reading this post, please remember that this discussion is likely to contain spoilers. When a young, pregnant woman, Lillie, is found floating dead in Richmond’s reservoir, the cause of death is originally thought to be suicide, but soon the evidence piles up so that murder is suspected. Before too long, the police pick up Lillie’s cousin Tommie, with whom she had been having a fling. As it becomes more and more obvious that Tommie was with Lillie the night she died, he is put on trial for her murder, his own life hanging in the balance. I suspect some people will be put off by the distant language. Did you find yourself able to engage with the story and characters? Fictionalizing true crime can be difficult. Do you think that Thompson struck a good balance between the different genre elements of his story? Richmond reacted quite strongly to Lillie’s death and Tommie’s accusation. What does their reaction tell us about the mood of the town post-Civil War? Was the level of engagement a believable part of the story for you? Thompson tells Tommie’s story by alternating between the storyline of the trial and his earlier life and interactions with Lillie. Was this method effective? Do you believe Tommie’s final story of what happened to Lillie? If not, what do you think really happened? 12 review copies of The Reservoir were provided by Other Press in order to facilitate this discussion. Thank you! I wish I would have read this one with you – this is one I have my eye on. 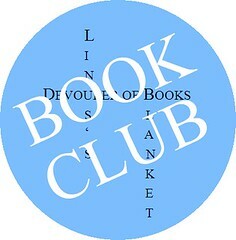 First, thank you once again for hosting this book club! The book started a little slow for me – there were a lot of characters and I think Thompson wanted to provide introduction and background on them before getting into the heart of the story. By the time I reached about 70 pages or so, I was hooked. This is probably a book which would have caught my attention even without BOOK CLUB because I enjoy historical fiction and books based on true crime cases…but I most likely would not have gotten to it so quickly! I actually thought the language and tone of the book was appropriate to the story. I really liked how Thompson moved back and forth in time between the trial and what went on between Tommie and Lillie…it was a good way to keep the tension in the book and I did find I was engaged with the characters and story. I often found myself forgetting that this was fictionalized…since I am not all that familiar with the true story, I don’t know how true to it Thompson was…although I think that he would obviously have to fictionalize what Tommie was thinking and the conversations – which gives the book more depth. I do NOT believe Tommie’s version of the story – it just did not ring true to me and I felt that had it really happened that way he would have confided in his brother or lawyers sooner. I actually believe he murdered Lillie in just the way the prosecution set forth – it made the most sense given his reluctance to accept responsibility for the baby and also his desire to be rich and famous. None of those “goals” would have allowed Lillie to survive with a baby. I WANTED to believe Tommie’s story, although I’m not sure that I did. What I really don’t know is why I wanted so badly to believe him, he wasn’t particularly sympathetic, but I still didn’t want him to go to the gallows and, if he had to, I really didn’t want him to be deserving of it. I didn’t believe Tommie was innocent. I didn’t think that Lillie would travel to commit suicide, nor do I think she knew where she was going as he lead her out there that night. One thing that I found strange was that the doctor felt the need to tell people in the beginning that Lillie was pregnant, like he was revealing something. She was pretty far along in her pregnancy if they were already looking for a place for her to actually have the baby. Jen, I didn’t want Tommie to be hanged either, though he was a pretty cool customer. I was relieved that he didn’t let Willie take the fall for him. I do believe he was capable of that, so I was glad he was ale to resist. Exactly, Nicole! That story was so impractical…how would Lillie even KNOW about the Reservoir? I think she was hiding her pregnancy with the clothes she was wearing(I seem to remember that in the book)…and actually when people drown their bodies become bloated with gases pretty quickly…so it might not have been instantly apparent to onlookers that she was pregnant. I too thought at first Tommie might allow Willie to take the fall for him – and was so relieved that did not happen – a tragedy upon a tragedy! I didn’t want Tommie to be hanged, either. But I think he was guilty of what we call manslaughter today, at least. It really irritated me that he thought he wasd innocent. I really wanted to like hom for half the book anyway but he bothered me more & more as the story went along and especially when he told his versions of what happened that night. I think he treated Lillie very badly. She wasn’t totally innocent but I think he was manipulative, selfish, a total schemer. I was really relieved Willie didn’t take the fall for Tommie, too. I really thought, at first, Tommie was going to let him. You’re right, Amy, he was TOTALLY manipulative. I found the book to be slow going, initially. I read 35 pages and then had no problem putting it down for a week or two. When I picked it back up, I was thinking I needed to read it within the next 4 days or so, otherwise I wouldn’t have a chance to review it before BOOK CLUB. Next thing I knew, 24 hours had passed and I was finished. Once I really got going, I found myself turning pages compulsively. This is definitely something that would have appealed to me regardless, but since Nicole and I set the schedule that shouldn’t be surprising. I felt a fair amount of distance from the characters, but that actually worked well for me with the question of who is and is not reliable. I also really liked the way Thompson went back and forth between the trial and Tommie’s earlier life. That background was as much the meat of the book as the trial was, and kept me as a reader guessing as to what really happened to Lillie, but if the story had started with all of that information without the murder I’d have been completely bored. That’s interesting that you and Wendy found the back and forth enjoyable. I found it to be rather jarring, especially since they didn’t go back to the same place or characters. I always had to orient myself to what was going on when he flipped back in time. I didn’t consider the book slow but I also didn’t rush through it. I really enjoyed th ebeginning of the book, all about Tommie, Willie, Lillie and Nola. I found the chapters about their lives really compelling and very telling. And I liked how the chapters switched back & forth between the investigation and the characters lives. I realize there were a lot of characters but I felt like there wrre only a few main characters so I didn’t get bogged down in trying to remember all of them. I felt like they rounded out the story more and gave the main characters a context. I think that Tommie wouldn’t have been so well-developed if his relationship to Nola and her lifestyle wasn’t explained in such detail. I felt that that showed us a different, conniving, greedy side of Tommie. I thought John Milliken Thompson did a great job fictionalizing the real crime, incorporating the items of evidence and building an interesting story around all the information. I wasn’t that surprised by Richmond’s reaction to the crime and Tommie. At that time, I think crimes and trials were a big source of entertainment…the media was very involved, the papers covered every little bit of the investigationd and trial. What I thought was interesting is once Tommie was convicted which most of Richmond seemed to want to see happen, they almost changed their minds and felt badly for him and many, not jsut in Richmond either, didn’t want to see him hanged. That made me feel like the case and trial were definitely treated more like entertainment and not taken seriously which is why many of the peopl were almost surprised to see that well-mannered, gentle Tommie had been convicted. I found that really interesting. Plus ça change, huh? Casey Anthony, OJ… We had hugely negative reactions when they were found not guilty, I wonder what would have happened were they found guilty and sentenced to death like Tommie? I thought it seemed that everyone was against him rather quickly. Although I thought he was guilty, I also though that there wasn’t enough evidence for them to get a conviction. I also think Tommie seemed to play into that by how calm he was and not offering any emotion during the trial. I’m not sure what emotion he could have displayed though that would have made him feel sympathetic. I was really impressed with the way that the story feels contemporary and historical all at the same time. I think that it could appeal to a very wide range of readers. I’m actually going to his singing tonight, and I’m gonna pick up an extra copy for a friend of mine who lives off prison shows and other true crime things on TV. She doesn’t really do historical, but I think she could really get into this. Anytime I can find a book she’ll enjoy, I get all excited. Tommie irritated me. I think that he killed her, though I don’t think that he meant to. I think she kind of set herself up in a way. She wasn’t all innocent either. She was sneaky and manipulative – traits she learned from her father, I’m sure. The character that really intrigued me, however, was Willie. I kept trying to figure out his motivation. I think I got it at one moment during the trial, when he makes the comment about screwing up when he was 6. I was very happy about the transitions between past and present, and I really enjoyed the fact that I got little glimpses into the thoughts of so many characters. This was not just a story about Tommie and Lillie. No court case ever is just about he victim and the accused. Thompson handled that just right. Re: Willie’s motivation, are you referring to their youngest brother’s death? Do you think we got any idea if or how that shaped the man that Tommie became as well? I don’t know exactly what the comment was referring to, but it did make me wonder about that younger brother. Tommie thinks a lot about it in the early part of the book, and he thinks about what type of men they are (him and Willie). I don’t think that the author comes out and says it, but I think it’s definitely there. Willie doesn’t want to lose another brother (which we see when he offers to take Tommie’s place and admit to the crime). Tommie doesn’t want to cause his parents any more pain. They’ve never really recovered from the loss of the younger brother. Of course, I’m not sure if the timeline matches up. I would have thought that Willie had been older than six. I think it shaped Willie’s life, but I don’t think anything affected Tommie. I tend to agree with Jen below that he leaned toward the sociopathic. I can’t think of a time when he cared about anything else beyond superficial reasons. I think he might have taken Willie up on his offer to take the fall for him if he really though there might be a chance that it would work. Him being a sociopath would explain why none of us wanted him executed, even though most of us thought he killed her. Even through the pages and after we knew what he was involved in, he was creepily charming. I’m not sure the feeling around their brothers death so much served to shape Tommmie or Willie but almost moreso showed their reactions at the time (Tommie lacking and Willie overly emotional) to be indicative of their later reactions and actions regarding stress. That’s sort of how I saw it. That is a really interesting take on it. Was Tommie really just a sociopath? I wondered that a few times while reading. Sorry I dropped out for most of the day – work was calling. But, I wanted to respond to this part of the discussion. I think Willie felt VERY guilty about the drowning death of his youngest brother…and Tommie did not seem to feel the same level of responsibility. This, I think, is important. I do think that Tommie was a sociopath…but at the least, he was a narcissist. He worried only about how things impacted HIS life and HIS future…he was incapable of empathy. And we see that he has been like this ever since he was a young boy. When his younger brother dies, it is Willie who shoulders the blame and is effected by that event the rest of his life. Tommie just gets on with his life as though nothing ever happened. And I wanted to also say – this is why I do not believe Tommie’s version of Lillie’s death. I would have picked it up eventually. It may have taken a while, but then I would have been mad at myself for not doing it sooner. Even though I haven’t ever considered myself a true crime gal, this has had my attention for quite a while even without the added incentive of a book discussion. I love historical fiction but it has to be done right. Often period pieces have a tendency to be a bit campy or false. This, as far as general tone and readability went, was easy and fluid. And gosh, ladies, I sure did like Tommie! I wanted him to want to do the right thong. Even when it was clear that he wasn’t going to move in the direction I wanted him to regarding how he treated the women in his life, I held out hope. I think as many have already said, one of the interesting/disgusting parts of the story fell in the public’s reaction to the trial much like the media frenzy that occurs, today. Overall I really enjoyed it even though I wanted to wring a neck or two throughout the story! I remember the hen-pullin’ scene, with Lillie’s father and Willie. I wanted to write Madison’s neck after that. Oh my gosh, that scene was disgusting! Pam, Willies was my favorite in the book. Tommie just seemed so smug to me and weaselly. I think I found Lillie to be much less manipulative than I found her to be lost. What made you view her as a manipulator? Also curious about whether people really think Tommie found the letter to his mother about Lillie and her father? It was easy for him to make that up since she didn’t have much of a memory. What do you think Willie ended up believing about his brother when his mom doesn’t remember the letter incident? It was more a feeling I had about her than anything else, but that feeling is essentially from the way Tommie presented her, so maybe it goes back to Tommie being a sociopath and thus an unreliable narrator. I definitely felt that she made some shady decisions that negatively effected Tommie but again that’s coming from Tommie so who knows how things really went down? What we know about Lillie is only what Tommie tells us, for the most part. I don’t trust Tommie – he is an unreliable narrator, and possibly a liar…so I am not willing to see Lillie in a negative light. I have a feeling she really did love Tommie, and she thought he loved her. When she became pregnant, she pleaded for him to help her (I think initially she would have been willing to even undergo an illegal abortion…but then Tommie never came through with that). A woman in the late 1800s would be completely ostracized if she were to have a baby out of wedlock…it was a huge deal (not like today where it happens all the time and women do not feel they must marry to raise a child). I had a huge amount of sympathy for Lillie who I thought was just young and desperate, and made a terrible mistake with the wrong guy.